When it comes to fast quality drywall restoration in Burlington Massachusetts, Danieli Painting's experienced drywall techs are ready. We'll remove all affected areas that are damaged beyond repair and install new drywall in your Burlington home. Once replaced with new, dry, material. Danieli Painting will restore your Burlington walls to original condition by utilizing our Burlington house painting skills. Call (978) 269-0404 for a Burlington drywall quote! 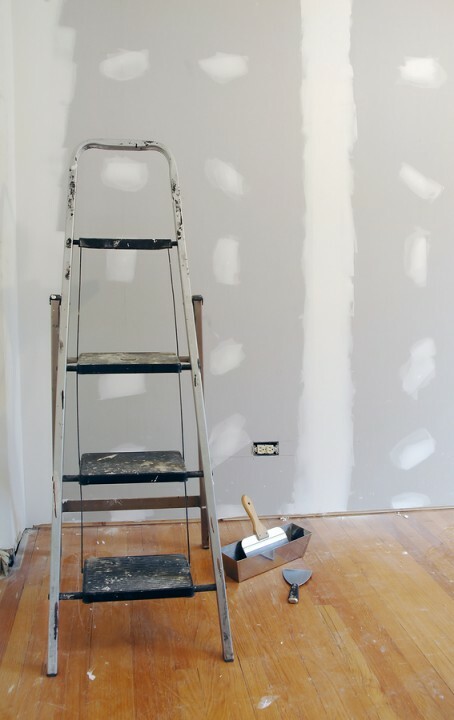 Whether filling in a small hole or replacing a large section of drywall in your Burlington home or office, Danieli Painting's expert repairmen can do the job quickly, often finishing the job in a day or two, including painting the wall with a matching color. When you call Danieli Painting to repair your drywall in Burlington, you're not only getting a skilled drywall contractor, you're getting one of the best painters in Burlington to fully complete the job. When looking to repair drywall in Burlington, Massachusetts, families and business owners know to call Danieli Painting, the locally trusted name in Burlington drywall repair. For fast drywall repair in Burlington, Massachusetts, call Danieli Painting today! A+ rating with Better Business Bureau! 5★★★★★ - "We've been working with Danieli Painting for years. They have painted the interior and exterior of our house in Wilmington and stained the deck. Paul is professional, detailed and prompt. We highly recommend Danieli Painting." On a scale from 1 to 5, rate the service you received. Note: Your review may be shared publicly. Your feedback is greatly appreciated and will be used to improve in the future. Copy your review text below. Click a site below and paste your review into the window that opens. You will need to have an account on the site you choose. There was a problem sending your message. Please try again or call us. You may only send 3 messages per day, but you are welcome to call us! Your phone number is invalid. Please enter a valid phone number and try again. Your email is invalid. Please enter a valid email address and try again. Thanks for contacting us! We'll get back to you shortly.